At VI Labs we believe that some instruments truly can inspire and take your creativity to new levels. Ravenscroft 275 is one of these rare instruments. This one-of-a-kind concert grand has been recreated using nearly 17,000 samples and 4 discrete microphones, controlled from an easy to use interface. Our goal was to emulate all aspects of the 275's detailed voice using the latest sampling technology and let this amazing piano speak with clarity. The result: a virtual piano like no other. 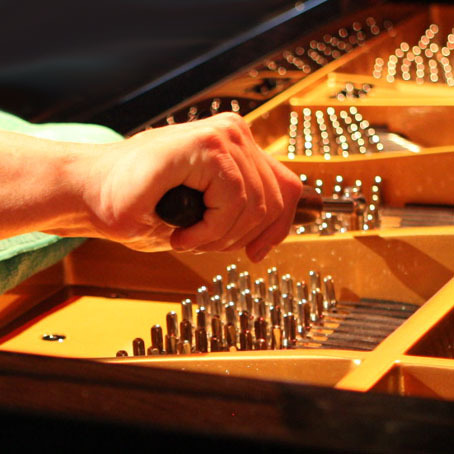 Reproducing the tone and playability of a concert grand like the 275 Titanium is no easy task. Precise playing velocities plus complex harmonic interactions and details are carefully sampled and then controlled by a powerful script and engine. Control is similar to a modeled virtual piano but entirely sample-based. Touch response is consistent no matter the controller used. All while keeping your resource usage minimal and offering fast load times. It's one piano that works for all styles. And gorgeous detail is abundant. Crystal clear hammer attacks, unique Muted Strikes, staccato Release Trails, lush Una Corda, and sampled Resonance lead to a level of realism previously unobtainable in a virtual piano. 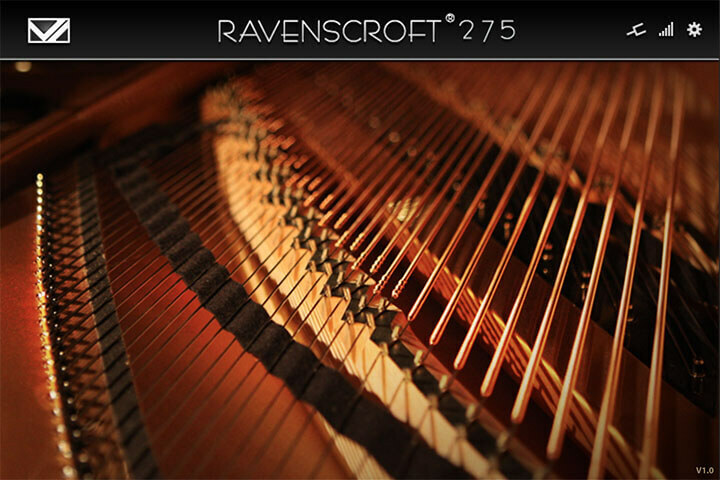 If the usual piano tones have worn out their welcome and it's time for the unique, the Ravenscroft 275 may be the one. This is truly the pianist's virtual piano. Listen to our demos and watch the videos. Ravenscroft Pianos are designed and built by Michael Spreeman at his company in Scottsdale, Arizona. After working with renowned jazz pianist and composer Bob Ravenscroft on a custom performance piano built to satisfy Bob's highest demands and expressiveness, Mr. Spreeman formed Spreeman Piano Innovations to build the exclusive line of Ravenscroft Pianos, named after the composer. 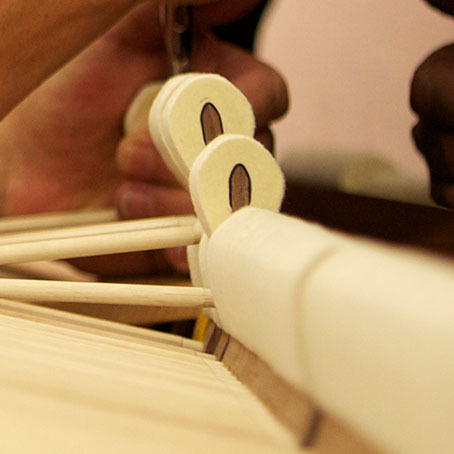 Each handmade Ravenscroft grand takes well over 1,000 hours to complete which is about four times that of a factory built piano, and each can be built specifically to a customer's requests or for a specific design or location. Mr. Spreeman had been seeing trends in how a large part of the piano world was becoming digital, and realistic sampling along with ever faster computers enable acoustic piano sounds to become easier to emulate. It was imperative for Mr. Spreeman to have his signature Ravenscroft voice captured for the most accurate 'simulator' possible. VI Labs worked with Ravenscroft Pianos at every step of the process to sample their 275 Titanium and do tests so we captured the perfect tone that satisfied the virtual and acoustic instrument makers both. A priority for Ravenscroft was finding the right team to sample their piano because of the expected level of accuracy and realism. 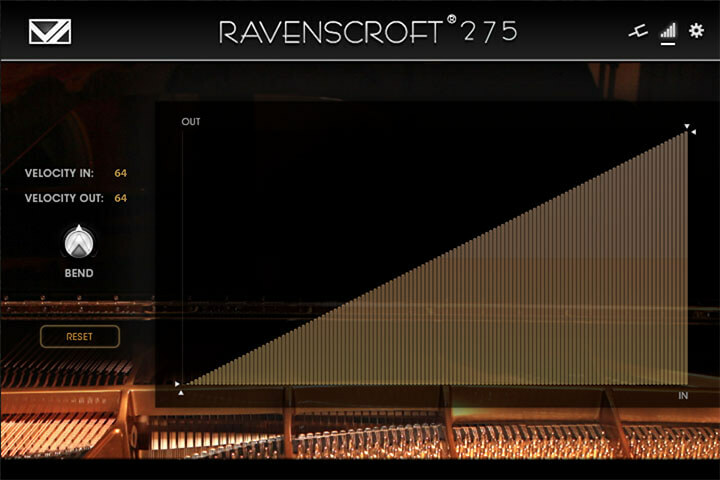 With our detailed knowledge of acoustic pianos and recording methods plus complex scripting utilizing the UVI engine, we were able to create the officially licensed Ravenscroft 275 library that truly emulates the voice of the Ravenscroft 275 concert grand. The Model 275 Titanium was built to be a concerto piano and have power to sing over a full orchestra but still handle the most delicate passages with ease and clarity. Sitka spruce from a 1,000 year old tree was used for the soundboard, the action is CAD optimized to be responsive and balanced to precise tolerances, and all string termination points are of solid titanium which contribute to its brilliance and long sustain. Front and rear tuned duplex scale further adds to the brilliance and sparkle. It responds with the agility of a fine sports car. And most important for the virtual instrument, tonal possibilities and depth of voicing with the Model 275 Titanium seem limitless. The bass is deep with a pronounced fundamental, the tenor is pure and rich, and the treble retains clear overtones and can be as bright as you want just in how you play without ever sounding edgy or brittle. The sustaining sound evolves beautifully over time with several notable 'blooms'. Overall there is brightness and definition but it keeps a warm quality at all times even when it's played fortissimo in any register. According to Mr. Spreeman, "Although our sound is very clean and pure, it's also multi-dimensional. I strive for multiple layers, or demensions, of complex harmonics that can be heard, sensed, and felt without sacrificing a strong emphasis on a bold fundamental tone." When recording a great piano in the studio, you want options. Versatility in microphone setups is needed to cover any playing style or mix without being limited to one basic tone. 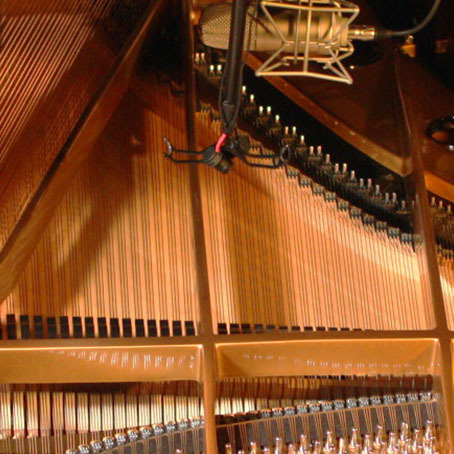 Plus the microphone selection and placement in and around the piano affect the stereo image and what tonal aspects of the piano are being recorded. The four discrete phase-aligned mic setups of the Ravenscroft 275 accurately capture its unique voice in exquisite detail and can be used individually or mixed in any way. World-class mics and preamps were used throughout. Tones from close and intimate, diffuse and distant, warm or brilliant, all can be acheived with one or more of these mics. Load the samples you want and activate or deactivate mics without having to unload and reload the samples. 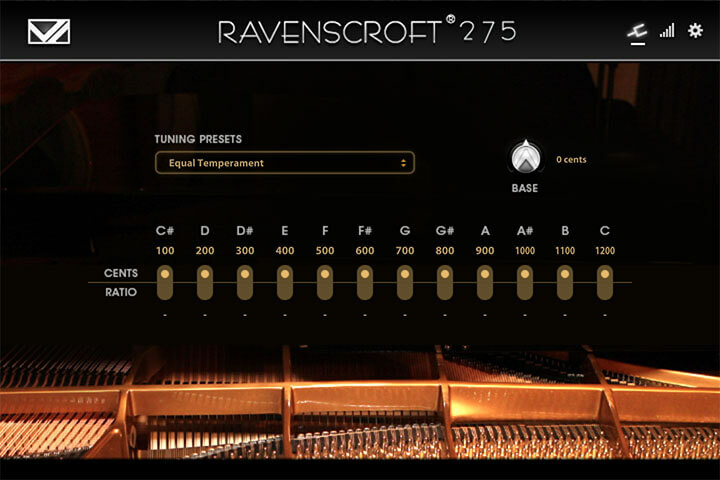 This is the Ravenscroft 275 virtual piano studio. The Main control panel features the Mic selection and mixing section center stage. Loading microphones is quick and easy while memory usage remains very reasonable. Adjust the mic's volume with the slider and shut the mic off with its power switch. If a mic is loaded but deactivated by switching it off, no polyphony is used and system resources are conserved. Much time is also saved by not having to unload and reload mic samples letting you have quicker access to all the mics at once. The microphone selection and setups were chosen for their variety of use, the character of the piano we wanted to capture as well as how they compliment one another when mixing. 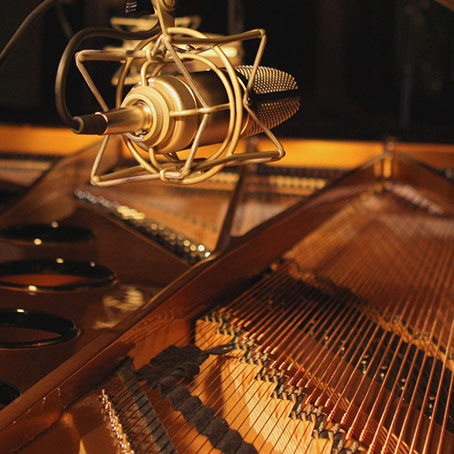 CLOSE: A mix of mics inside the piano placed over the strings and hammers that capture a punchy detailed tone with a big stereo image. Great for pop/modern playing and hold up well in any mix. PLAYER: A stereo pair of mics that capture the sound heard sitting at the keys and pick up more of the hammer attack. More distant than Close mics, they're great for classical and player's perspective while also mixing well with other mics. SIDE: A mid-side vintage U87 setup right outside the rim that capture a balance of warmth and detail with a more focused image. Great for jazz and classical and blend well with other mics to add more room or detail. Side mics are also fully mono-capable due to the nature of mid-side. 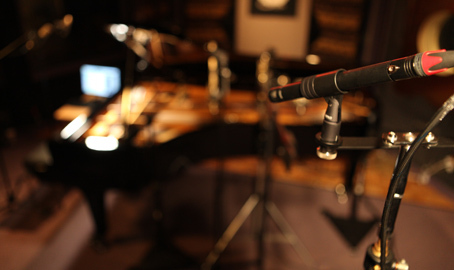 ROOM: A mix of mics away from the piano that capture the complete instrument along with the room characteristics. Great for classical and for the unique perspective of the room sound and work great blended with any other mics. 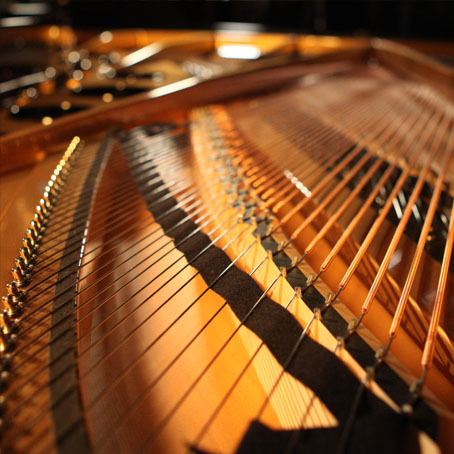 Pianists are well accustomed to the aspect known as sympathetic resonance that occurs in acoustic pianos and its importance to the sustain and how chords resolve. It binds all notes together as one instrument. Sympathetic resonance is heard among harmonically related keys held and others played, while pedal down resonance occurs as all strings vibrate together when the damper pedal is pressed adding to the overall sustain. Both pedal down and harmonic key pedal up resonances are sample-based and not synthesized in any way. We believe this important component of the piano's tone is best emulated only with real samples. The Ravenscroft's multi-dimensional resonances have been precisely sampled and scripted for both types of advanced resonance simulations responding naturally like the real grand, all fully adjustable. Sympathetic resonance brings all the strings together as one instrument and adds immense depth and sustain.Our resonance simulations are entirely sample-based and have been carefully matched to the actual 275 concert grand in response and volume. This is done with complex scripting made possible in the UVI engine along with accurate sampling and voicing. The end result is stunning and recreates what you would hear from the real grand while also giving you full control of the resonance samples. A• Pedal Resonance is the unique sound of all strings vibrating in harmony when the sustain pedal is pressed down while playing. The volume of Pedal Resonance samples can be independently controlled for more or less of the effect. B• True Pedal Action ties the Pedal Resonance samples to your sustain pedal action. A chord played with the pedal down will cause other strings to resonate, but if the sustain pedal comes up and then back down quickly, the strings will resonate again but with lower volume. This enables the sample-based Pedal Resonance to precisely work the same as it would on the acoustic grand and offers realism not possible with separate pedal-down samples. C• Repedal allows blending and blurring of the sustained sound when the pedal is lifted and pressed down again quickly. This is a crucial component to the pedal down sustained sound which differs from anything played with the pedal up. D• Sympathetic Resonance occurs when partials are heard in keys harmonically related to keys that are struck. Not only is this an integral part of the grand piano's tone and sustain, it's also used musically to great effect such as holding a chord and playing harmonically related to cause sympathetic resonance in the chord that's held. E• Sympathetic Polyphony allows independent control of the number of voices allowed for the Sympathetic effect. If you're using this effect specifically and want more of it, simply increase the polyphony value. Or decrease to conserve system resources. The pedals of a grand piano must be responsive and give precise control of the dampers by using the Sustain and Sostenuto pedals plus allow you to sweeten the tonal colors with the Una Corda or soft pedal. 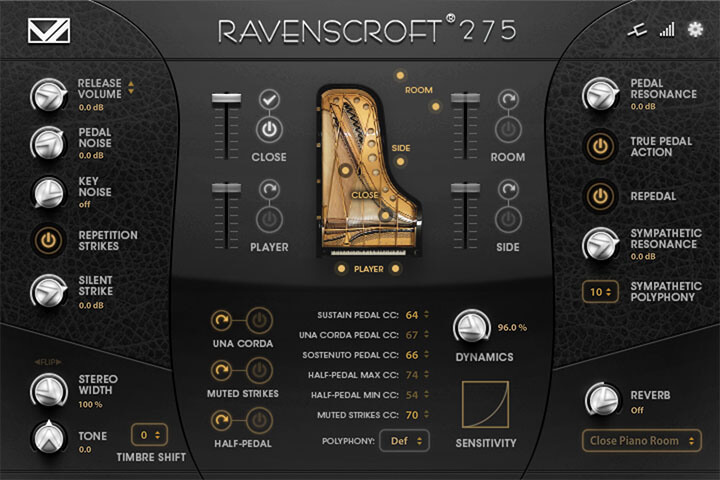 Ravenscroft 275 works with a single on/off pedal for basic sustain, or you can use all three pedals including piano-style continuous damper pedals for smooth Half-pedal control plus Sostenuto and Una Corda functions. The Sostenuto works just like a grand piano and is perfect for triggering Sympathetic Resonance samples on notes held by this pedal. Repedal is fully supported and a crucial function to blur phrases and blend the sustained tone if the pedal is lifted and depressed quickly. Other options like half-pedal range settings and custom CC assignments for any function offer a level of control discerning pianists will appreciate. Full control of all pedal functions happens on the main interface. All three grand piano pedals are supported with our unique True Pedal Action plus Half-pedal samples for the sustain pedal. Full Sostenuto and sampled Una Corda can be used with the center and left pedals. Repedal action is smooth and True Pedal Action creates highly realistic damper pedal resonance which works well with Half-Pedal. • Half-Pedal: Special samples and scripting create the effect of variable damper control, so as a note is played and the damper pedal is pressed slowly, the release trail gets longer until full sustain is reached. Min and Max CC ranges for your continuous sustain pedal set the range of this effect so you can customize to your pedal and style. • Repedal: Allows the note to continue if the sustain pedal is lifted then pressed down again quickly. A crucial feature to most pianists, this enables subtle blurring mostly in the bass and responds like a real piano without the sound fully stopping when the pedal is lifted. • Una Corda: The soft (or shift) pedal on a grand piano making the hammers shift over not only to play one less string on most keys, but a softer part of the hammer meets the strings which results in a mellow tone with a different character. Load this discrete sample set for soft pedal which include hundreds of detailed release samples. • True Pedal Action: Emulates the way an acoustic piano's pedal down resonance responds along with the sustain pedal being used. A chord played with the pedal down will cause other strings to resonate, but if the sustain pedal is lifted but pressed again quickly, all strings will resonate but with lower volume. 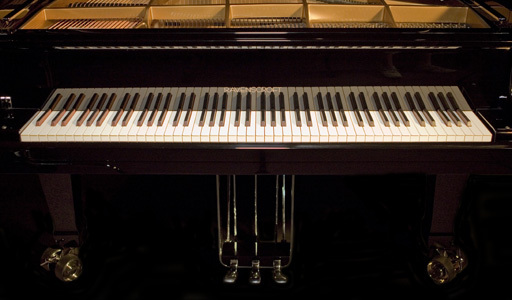 In a real piano, the resonance occurs if the pedal is down when a chord is played but also if a chord is played followed by the pedal going down. The Pedal Resonance comes on when the sustain pedal is pressed and is muted when the pedal is lifted, exactly as on a real piano. • Stereo Width limits the size of the stereo image and can also be set to summed mono or L-only, R-only mono. The FLIP button swaps L-R and determines mono source. Setting Width to 1% is summed mono while 0% is R-only, FLIP button for L-only, and get perfect phase free mono on any microphone. • Timbre Shift brightens or darkens the piano sound by shifting the root pitch of the samples. The effect can be quite dramatic and yields many tonal possibilities similar to adjusting the sale of the acoustic grand. • Tone control brightens or darkens the sound using an EQ as opposed to shifting the samples. • 22 high quality Convolution Reverbs are included ranging from small rooms and plates to large spaces and cathedrals. Turn up the Reverb knob to activate the reverb adjust the wet/dry mix. Customize your microphone mix further with powerful sound controls like Timbre Shift along with high quality convolution reverbs. Multi-velocity sampled strikes of each note with the strings muted creates this wonderful percussive effect that can be switched in real time while playing using your mod wheel, button or pedal. Resonance is also heard when the sustain pedal is used. Load these samples, then set the CC value to your controller of choice. Set the value to 1 and use the UVI graphic mod wheel as your controller if no physical controller is available. Load these unique samples with the strings muted gives a very short percussive attack. Switch from Mutes to normal in real time. 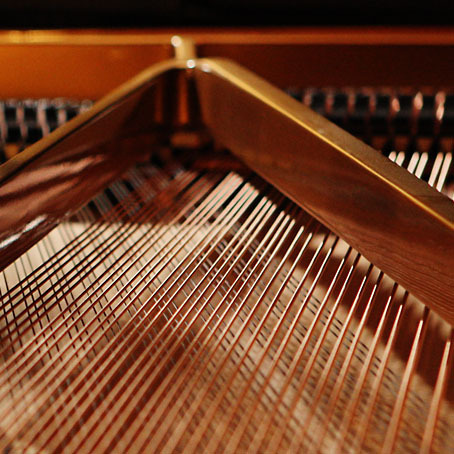 The resonance that trails on after you release the keys and the dampers mute the vibrating strings is an integral part to the feel of the piano and how the artist connects. This sound is most noticeable during staccato play and is precisely reproduced in Ravenscroft 275. Over 1,000 release samples per microphone are used and respond to velocity as well as time. True staccato release samples create a precise effect with more string energy in bass notes and more treble and duplex ring in higher notes. The Release Trails also respond properly with the sustain pedal and will be heard on a sustained chord when the pedal is released, just like a real piano. Adjust the Release Volume for more or less of these trails as well as adjust the amount of crossfade between the sustain and release samples. Typically if you increase the Volume, you increase the crossfade (Xfade) time. Thousands of detailed Release Trail samples including true staccato samples are fully controllable and add great demension. 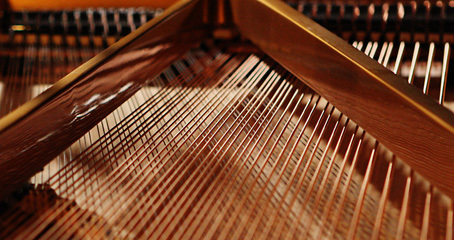 A premium virtual grand piano library would not be complete without discrete Una Corda soft pedal samples as classical and other demanding pianists use it not only to lower the volume of a soft passage but also for its unique variation in tonal color. Una Corda, or the shift pedal of a grand piano actually shifts the entire action to the right so a hammer normally hitting three strings only hits two, etc. Plus the strings are struck by a part of the hammer that's voiced differently giving a softer muted tone. Load the Una Corda samples and set the CC value to your controller of choice. The default for soft pedal is 67. If no extra pedal is available, you can set any MIDI controller such as the mod wheel to any pedal function. Experience the velvety softer side of the Ravenscroft with these special samples. An amazingly lush Una Corda soft pedal sound, deeply sampled including over a thousand discrete Una Corda release samples. 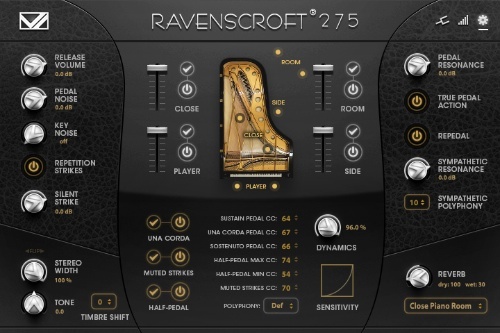 Ravenscroft 275 is designed to feel great with any keyboard right out of the box. For custom control, you can adjust the MIDI velocity response and volume curve independently. The acoustic Ravenscroft grand has an incredibly deep response in voicing and volume which you'll feel in Ravenscroft 275 and can be customized for a variety of controllers. The MIDI panel also shows incoming and outgoing MIDI velocity values and offers Bend to control the overall response curve, in and out min and max points to limit velocity response, and the ability to draw any custom curve you want. Intuitive controls for MIDI and volume response deliver a great feel with any controller. Choose and create custom tunings from the Tuning Panel. • Pedal Noise: Sound of the damper pedal action on the real acoustic grand causing a slight swish when raised and a small thump when dampers are lowered onto the strings. The Pedal Noise is deeply sampled and responds to pedal speed when using a continuous piano-style sustain pedal and has full volume control. • Key noise: Mechanical sound of the action when a key is released resulting in a small thump. Every key is sampled and responds a bit differently. Key Noise volume is adjustable and most noticeable on the closer mics. • Silent Strikes are a unique feature to the Ravenscroft 275 and are the faint sound heard when a key is pressed very slowly but not making the hammer hit the strings. This volume is adjustable making the effect more or less noticeable. • Repetition Strikes emulates the natural variation heard when repeating single notes on an acoustic piano, mostly heard when the sustain pedal is down. Some repeated notes will be brighter or darker depending on playing speed and velocity. • Custom CC assignment is possible for all three pedals plus Muted Strikes and half-pedal range. Min and Max half-pedal CC values set the working range for the half-pedal effect to occur. Any controller such as your mod wheel or a button can be used if pedals aren't available. Like if you don't use Sostenuto, you can assign your middle pedal to Muted Strikes. • Dynamics and Sensitivity allow fine control of the volume envelope of the Ravenscroft without affecting MIDI response. Used in conjunction with the MIDI panel settings, an enormous range of response is possible. Increasing Dynamics makes the softest samples lower in volume whereas decreasing this value limits the volume range with soft samples being louder with 0% having same volume at all velocities. The Sensitivity curve affects the slope in volume from softest to loudest. Click and drag the curve to increase or decrease the slope in the curve. Control every component of the sound including sampled Key and Pedal noises, Silent Strikes as well as control of the dynamics along with pedal assignments and polyphony. 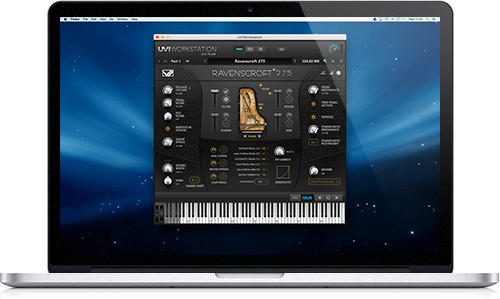 Ravenscroft 275 comes with its own sample player, the UVI Workstation 3 (requires v3.0.0 or later). We provide it for free with every library that you buy, you don't need to buy an expensive sampler to use our products. It works on Mac (10.7 or later) and PC (windows 7 or later), in standalone or as a plugin (VST / AU / AAX) and in 64 bits only and is compatible with all modern daws. You can find more info about it here. Very stable and efficient UVI engine. The iLok dongle not required. You can install your library on up to 3 computers and without any use of a dongle. Powerful sample player, incredible scripting engine. Ravenscroft 275 is also compatible with UVI's Falcon. Nearly 17,000 samples of the one-of-a-kind Model 275 Titanium concert grand, accurately simulated in this virtual instrument. Computer-based activation. Use on up to 3 machines, no dongle required! For complete step-by-step instructions and video on how to download and install the Ravenscroft 275 library and UVI Workstation, please visit our website at vilabsaudio.com/support. This is to ensure you get the most accurate and latest install instructions as we and UVI release product updates or any other changes occur.